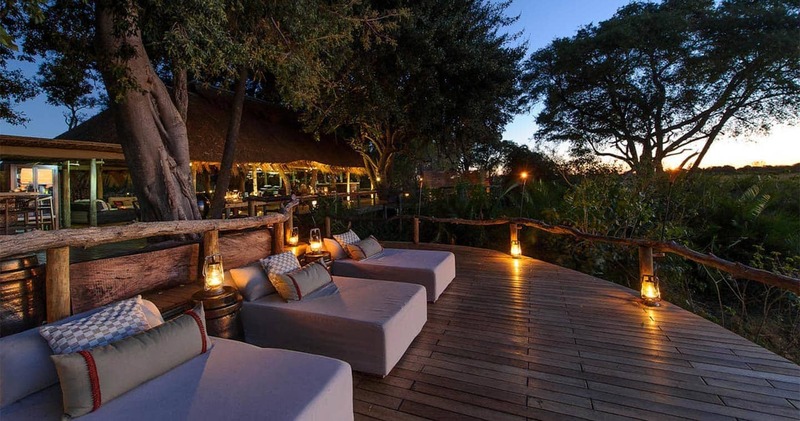 Situated in the best part of the Okavango Delta, the Moremi Game Reserve, on Mombo Island, is the very exclusive and intimate Little Mombo Camp. This is the baby sister of the larger Mombo Camp, to which it is connected via a raised walkway. Little Mombo is built under a shady canopy overlooking a grassy floodplain dotted with tree islands, in an area renowned for having Botswana’s highest density of wildlife. Don’t be surprised if your first lion sighting is on the way from the airstrip to the lodge. You might even encounter the famous Legadema; the star of National Geographic’s documentary Eye of the Leopard. This twelve-year-old lady cat raised three cubs in this part of the Delta, and is one of the most impressive predators. Spectacular buffalo kills in the water, baboons frolicking on boardwalks, hunting wild dogs, countless elephants and hippos (especially at night, right next to your tent…): just some of the wildlife viewings you might experience here. It is so extraordinary; we would almost forget to mention the high hospitality standards of this small gem. Simple luxury, tinged with a little decadence here and there, an extremely dedicated staff and knowledgeable guides; it has it all. And that might be exactly the reason why you want to revisit this camp soon after leaving. 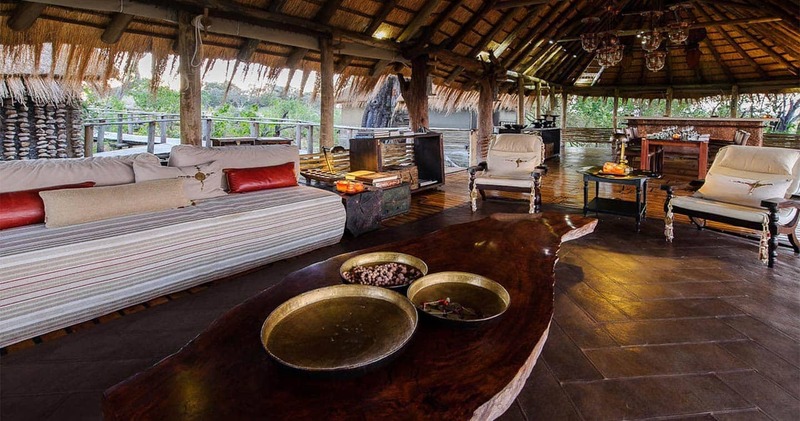 This is a superbly run camp that matches the high standards of big brother Mombo Camp. The three spacious tents – only three! - are generously set apart enhancing privacy. Raised on decks, suites overlook the surrounding game-filled floodplains: settle down in your private sala with a freshly made coffee or cocktail, or grab your binoculars and look out over your large verandah. 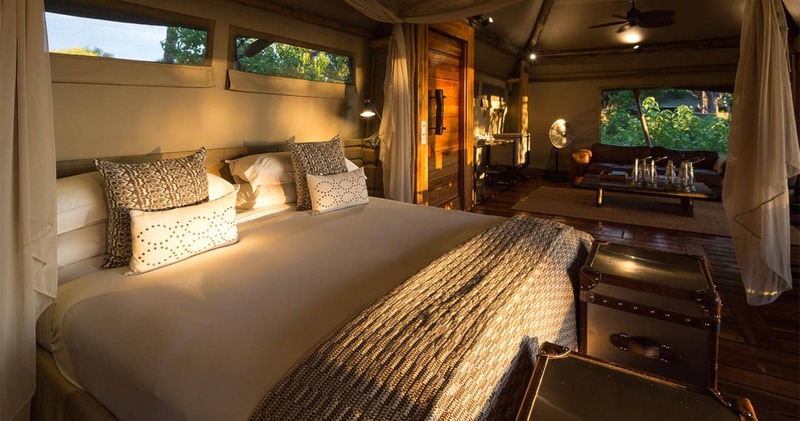 Of course, the tents come with all the en-suite facilities you need, including a separate flush WC, and an indoor and outdoor showers (outdoor showering is just one of those unforgettable Delta experiences). There are fans, mosquito nets and hairdryers on request. Walkways connect you to the main areas, where you will find a dining room under thatch and raised on a deck, a private lounge (shared with Mombo main camp) with inviting chairs, a boma for traditional dinner nights under Africa’s famous starry skies, sparkling pool, gym area (to burn a few calories after another extremely delicious lunch or dinner) and curio shop. To truly unwind: order a traditional massage in your room, with the relaxing sounds of bird chirping and hippo callings in the back (additional cost). Oh, did we mention the entire camp runs on solar power? Great luxury, small footprint! Welcome to this predator haven with frequent excellent sightings of lion, leopard, wild dog and plenty of inter-predator interactions. With viewings like this, it is not at all surprising that Little Mombo Camp focuses completely on game drives. Plains game is also prolific, and birding, with over 400 species, is superb year round. So let experienced guides like Tshepo, Sefo or Dr. Malinga, take you to Chief’s Island and the surrounding areas, and start your adventure. Game drives take place in the early morning, and afternoon. In between, there is time for brunch, high tea, a refreshing plunge in the pool, some exercise or a massage. For birding enthusiasts, there is definitely a lot of species you can cross off your bucket list, like the rare Pel’s Fishing Owl. The guides will also provide some of their knowledge when it comes to shooting that ‘picture perfect’ of a lion, a cheetah sleeping on a branch, or a predator in full action; they know all about lighting and the right angle, so you and your camera are in good hands. By returning to the camp, a rich, homemade buffet waits, and all you have to do is open up your senses once again, while you kick back with a glass of African red wine. 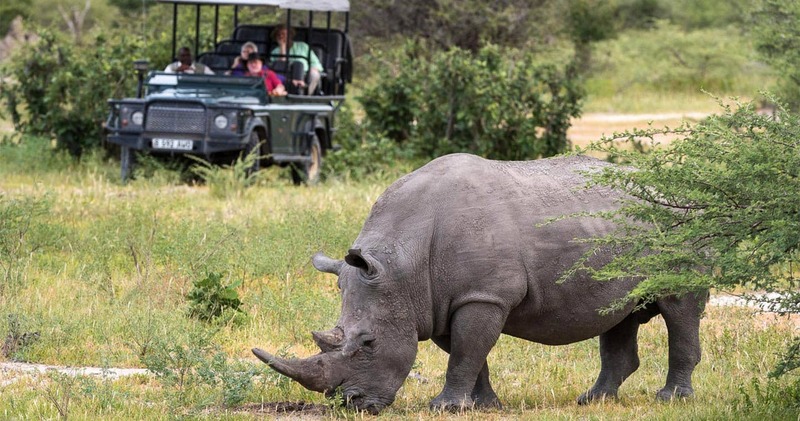 The guides, cooks, team - and even the wildlife seems to join in - will all go that extra mile to offer you a great safari trip, with plenty of memories to cherish. Awoke to a leopard on the walkway outside our room. Hippos in the water as we breakfasted and then saw 23 lions in one day. 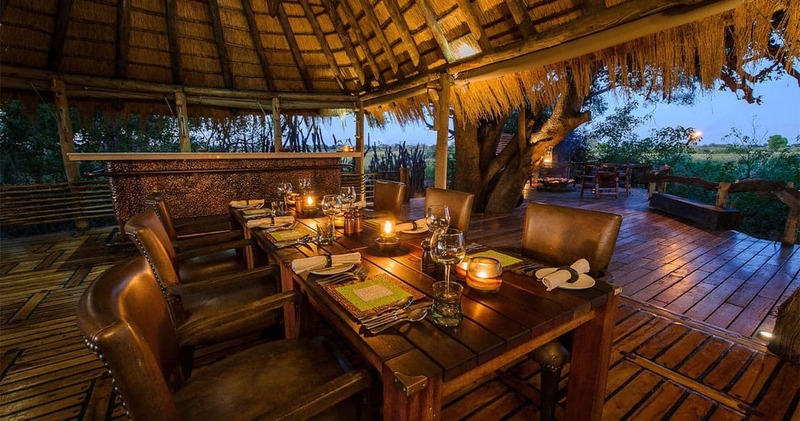 Amazing safari, stunning accommodation and gourmet food. If I could afford it, I would live there. 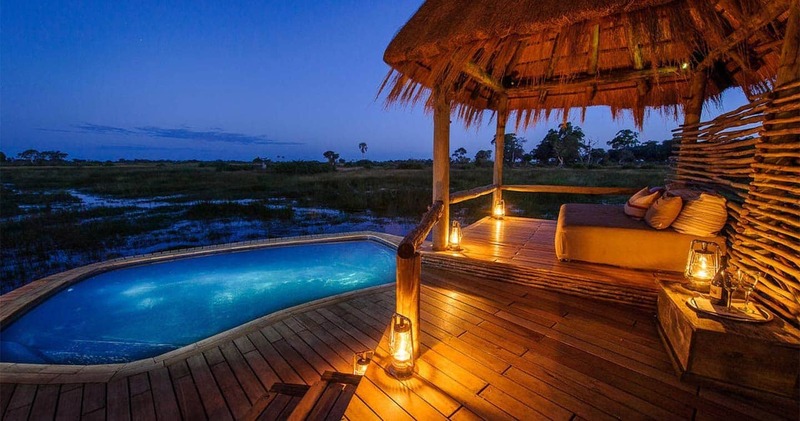 This is pure heaven and the best place if you are interested in safari and wildlife. Everything in this camp is perfection. The guides, the attention to details, the location and the tents and camp are truely exceptional. Mombo is truely amazing! A lifetime experience!! This camp will be refurbished in 2016 and 2017 us due to reopen on 1 July 2017. Read all about travelling to Little Mombo Camp on our getting to Moremi page. Little Mombo is best accessed through Maun Airport. 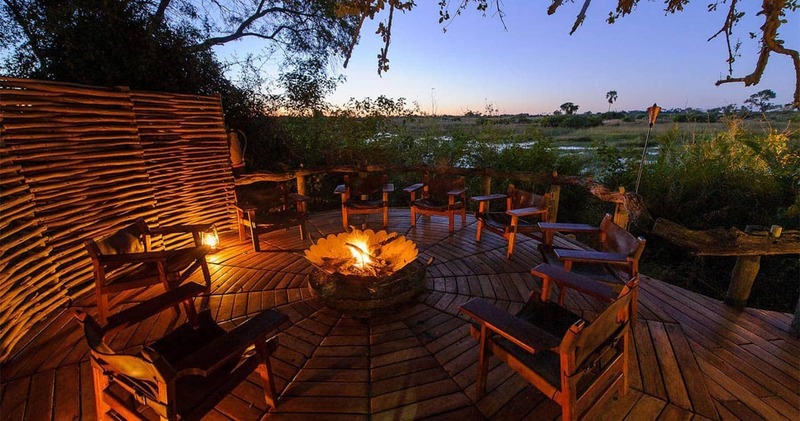 We hope you have found all information needed to decide that Little Mombo Camp in Moremi Game Reserve is the perfect place for your next travel adventure. Please fill in the contact form and we will get back to you soon!